Pilgrim 'Star Sign' charm collection, just select which one you require from the list. They measure around 4.5/5cm total length. Silver plate. Pilgrim tag. Pilgrim 'seed pod' charm. Silver plate with a faceted black glass bead. The shells are loose which creates a fluid charm. Total length 4cm/40mm. Pilgrim tag. 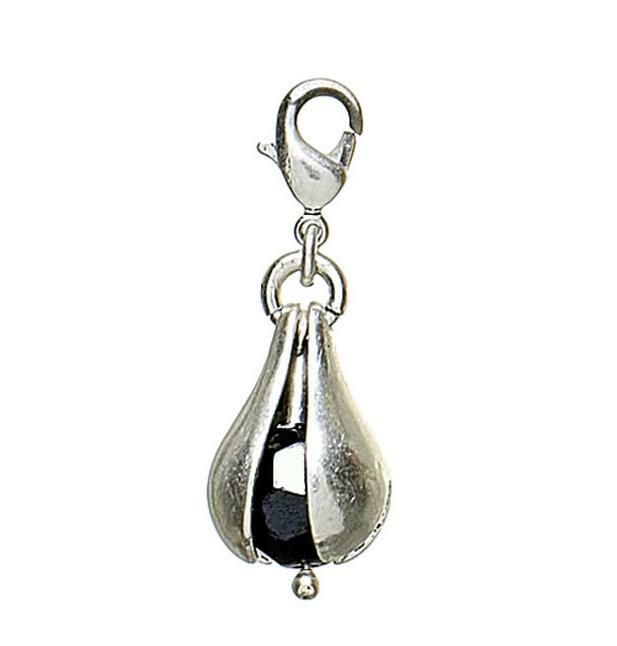 Pilgrim 'Yin & Yang' charm. Enamelled on both sides. Flat charm. Disc measures 1.5cm/15mm diameter. Total length 3.2cm/32mm. Silver plate. Complete with Pilgrim tag. Pilgrim 'Peace' symbol charm. An early charm, enamelled in green on both sides. Symbol measures 2.4cm/24mm diameter. Total length 4.2cm/42mm. Silver plate. Complete with Pilgrim tag. Pilgrim jigsaw piece charm. A very early charm, enamelled on both sides. Flat charm. Jigsaw piece measures 3cm/30mm. Total length 4.2cm/42mm. Silver plate & blue enamel. Complete with Pilgrim tag. 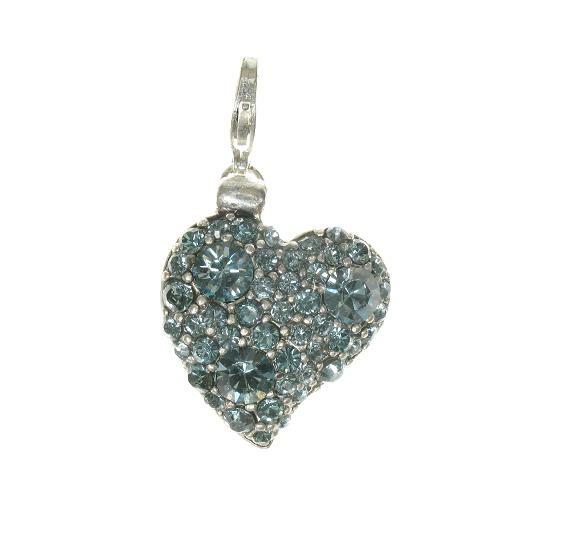 Another early Pilgrim charm, a Swarovski studded heart. Slightly domed but flat charm. The surface is beaded and set with lots of sparkly Swarovski crystals in a grey hued blue. Heart measures 2.3cm/23mm. Total length 3.7cm/37mm. Silver burnished plate. There is no impressed logo. Complete with Pilgrim tag. 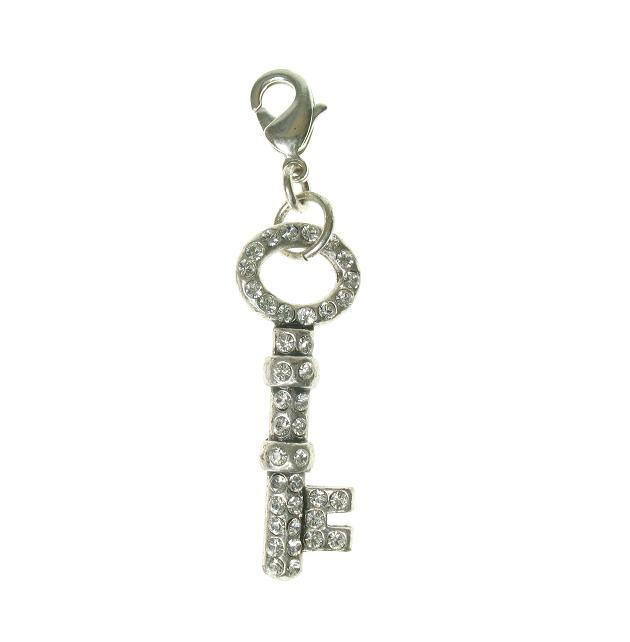 Pilgrim Swarovski studded key charm. The front facing surface is set with lots of sparkly clear Swarovski crystals. The key measures 3.3cm/33mm. Total length 5cm/50mm. Silver burnished plate. This is a rare early charm. As with many of the early Pilgrim charms it doesn't carry the logo. Complete with Pilgrim tag. We do have a 'personal' collection of Pilgrim that is all brand new. 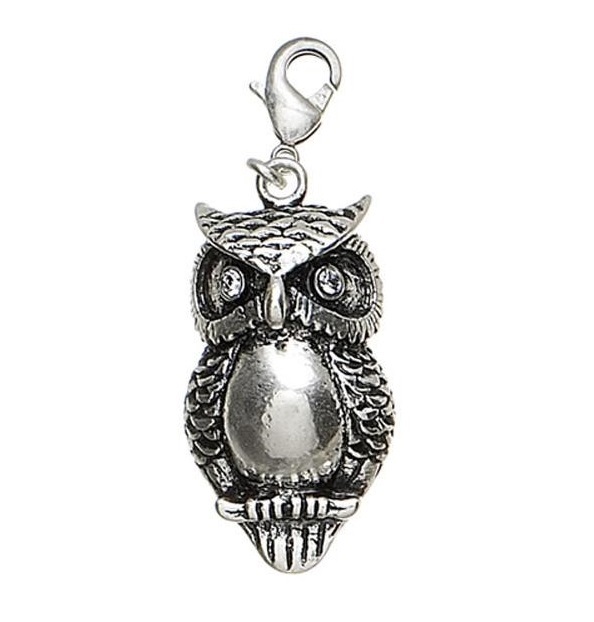 Here is a very handsome 'owl' charm, quite early, from the first releases. Very solid, beautifully cast on both sides, in a burnished silver plate with clear Swarovski crystal eyes. Pilgrim impressed into the back. Total length 5cm/50mm. He is brand new. Pilgrim tag. Very cute little 'pooch', with black enamelled eyes and clear Swarovski crystal details to the nose, ear and tail. In vintaged silver plate. It measures 1.5cm/15mm in length. Total length inc. clasp 3cm/30mm. Pilgrim logo impressed on the underside. Comes with tag (not shown). 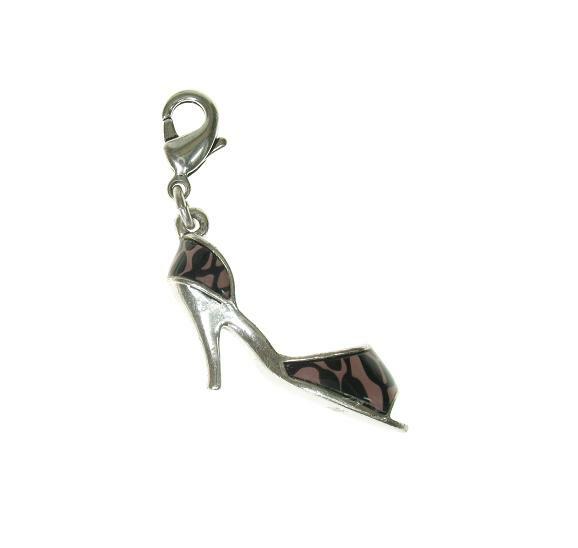 A very pretty charm featuring a high heel shoe, decorated with decorative inserts that are then enamelled over in clear. The shoe measures approx. 3 cm/30 mm in length. 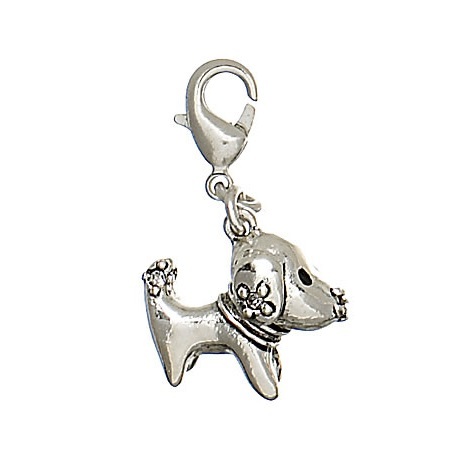 The total length of the charm inc. clasp 4.5cm/45mm. Pilgrim logo impressed on the sole. Comes with tag not pictured.